Is UK manufacturing benefitting from its new found honesty? In some cases complete plants were commissioned which never turned a part. Companies (often foreign) moved around the country hiring and firing as they chased the grants, eventually closing their doors with all jobs gone, taking our money with them. Is it a surprise we had a bad name? This was a sorry state, which to me now seems a million years ago. I’m not saying it has completely stopped but during the recent spate of Regional Growth Funding all the plastics companies we’ve supplied machines to have genuinely created extra jobs and are using the funding as its intended – to improve their business. As a result UK companies seem to be benefitting, putting money back into the system and creating long term prosperity. Our manufacturers are working hard for small margins but they’re creating valuable solid businesses that may last the span of time and once again form long term employment prospects for their people. 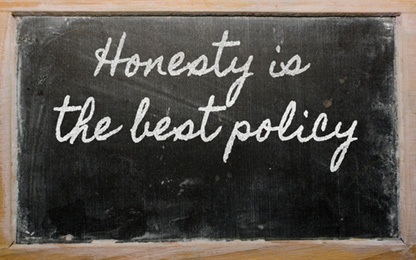 I hope I’m not delusional, perhaps a little optimistic, but if I’m right then honesty is certainly the best policy! And maybe soon, Manufacturing will become the happening place to be! Do we feel guilty to make a profit with our new found honesty?